The factors that come into ownership of the code on IP security devices. When it comes to protecting your network, the key is staying vigilant. Which voice platforms to look out for Windows 10, the best practices for secure passwords, and discussing who owns the security of the devices on the network. Questions to consider when looking for an AV technician. What does today’s AV technician need to know about the field? QSC lets dealers order and have their switches installed directly. How human error can cause interference when setting up networks. How to get AV-specific switches into IT and datacenters, and discussing what today’s AV tech need to know about IT. IT AV 17: Virtual machines, virtual servers, and then virtual audiovisual? Our panel discusses the possibilities and practicality of software-defined ProAV in an IT environment. IT AV 17: A new report out says the DDoS attacks are on the rise. There isn’t much you can do to prevent them. There is plenty you can do to protect yourself and your clients should bad actors take aim at you. There have been spikes of DDoS attacks around the world in the last month. The steps you can take to protect yourself and your clients’ network. Creating a secure audiovisual network in high-risk environments. The impact of virtualized ProAV on IT and AV networks. 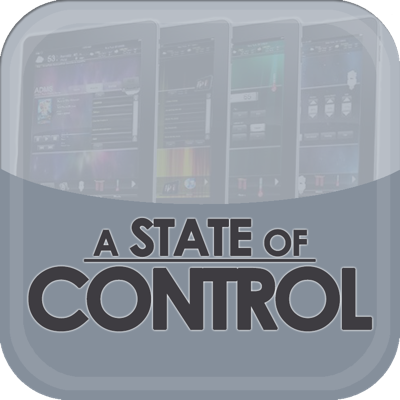 A State of Control 43: Steve Greenblatt is joined by Patrick Murray, Dereck Joncas from Extron, and Rich Fregosa discussing where traditional computer programming languages meet proprietary ProAV control programming languages.